Submitter: First, there are some disturbing images of animals in this post. My local library has a storage section for books that get little to no use. I found this one and had to check it out! 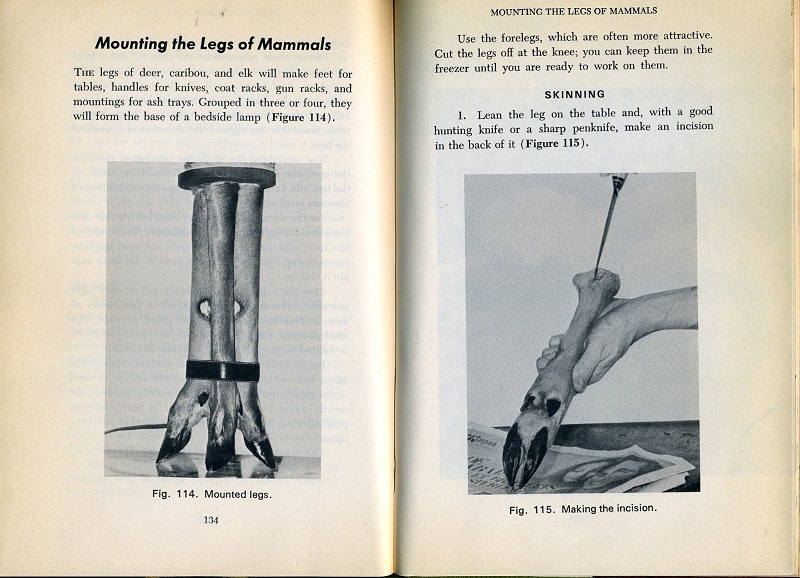 The images are pretty gruesome but one can expect that from a book on taxidermy. Not sure if it’s truly awful, it is 40 years old and quirky. 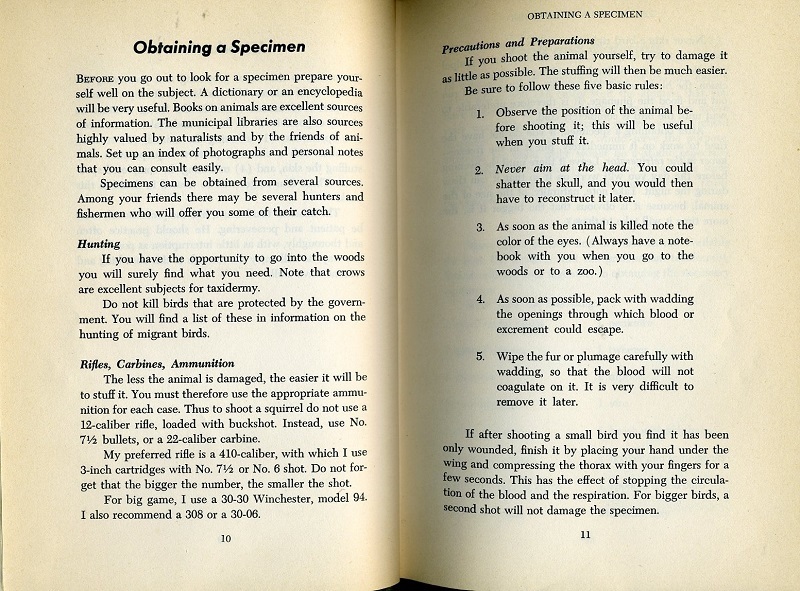 …taxidermy is a gateway drug to serial killing. Really? There are special killing zoos? Where it is normal to take both a gun and a notebook? I think that lamp (Fig. 114) would be on the Devil’s nightstand. The construction techniques are probably the same, but the processes for preservation have improved. 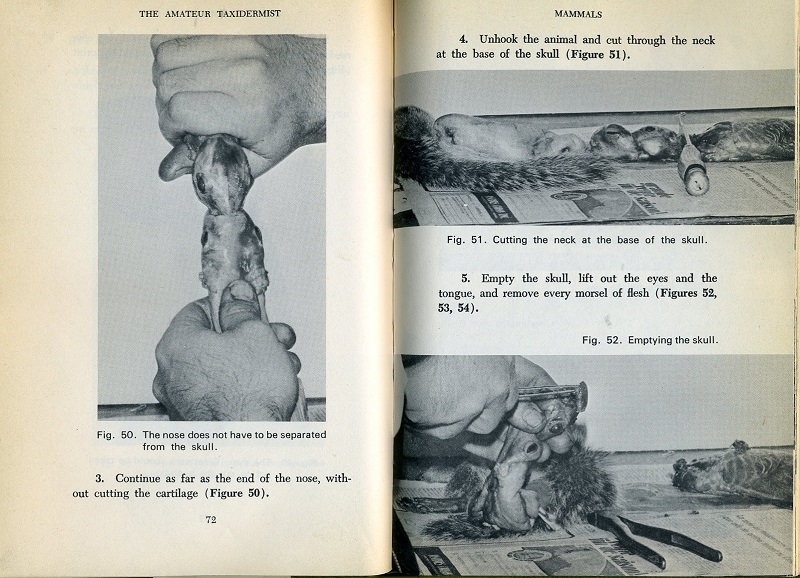 Taxidermy used to use arsenic to treat the pelts. That changed at some point, but I don’t know the date. So yes, this needs to be weeded. (If you really want to know about this arsenic info you could read posts at this site: http://www.taxidermy.net/forums/IndustryArticles/03/k/0353A2051.html ). Honestly, what horrifies me most is that Submitter’s library has an entire ROOM full of books that need to be weeded! Its a large warehouse. But that’s another story entirely. 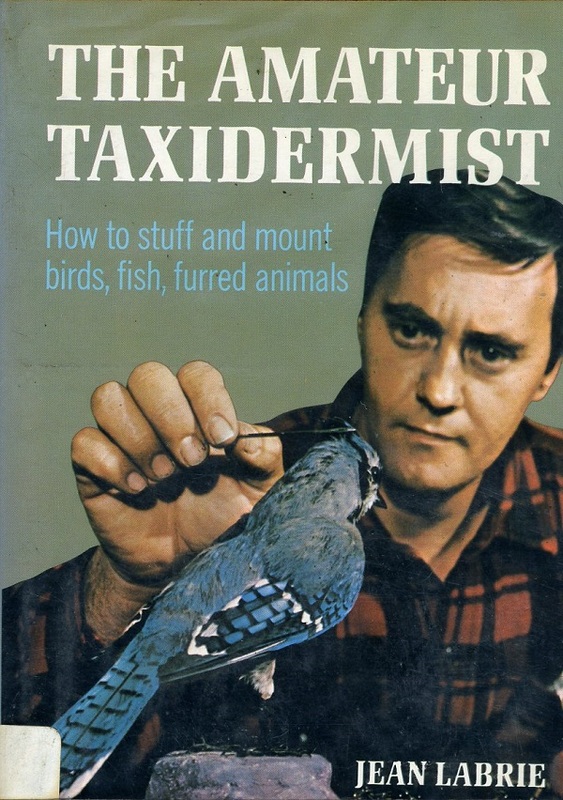 There are indeed more recent books on taxidermy. 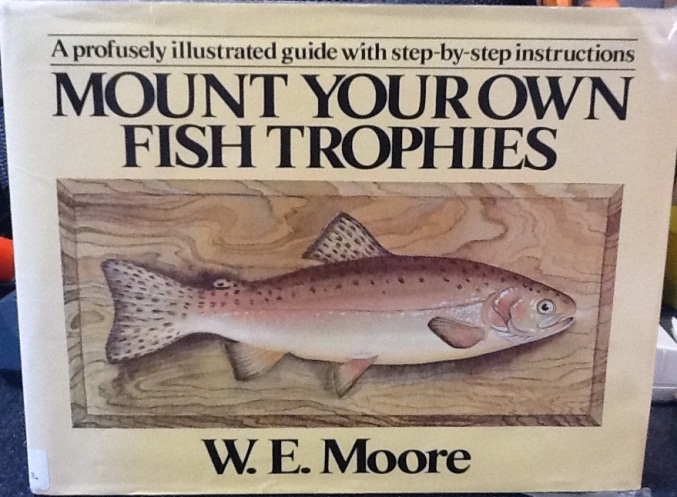 Several years ago, I ordered a few new books on taxidermy for my library. My dad’s been hunting for years, so I’m more or less used to seeing this kind of thing. I hate it when people label hunters as cold-blooded, evil killers because my dad’s not like that at all. Yeah, people don’t understand that true sportsmen/women are bigger environmentalists than environmentalists. We’re not going to over hunt or over fish or pollute an area and ruin our fun. 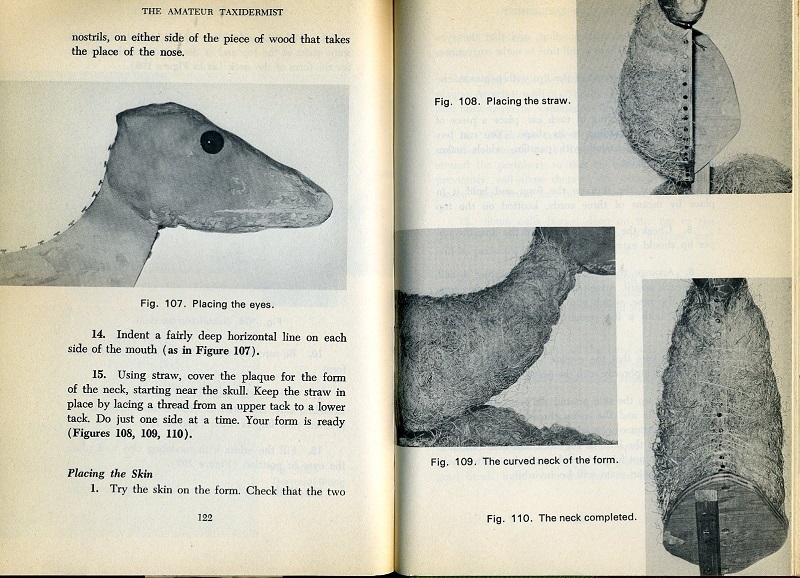 As for the book, I’m sure taxidermy has new tools and new chemicals to use. 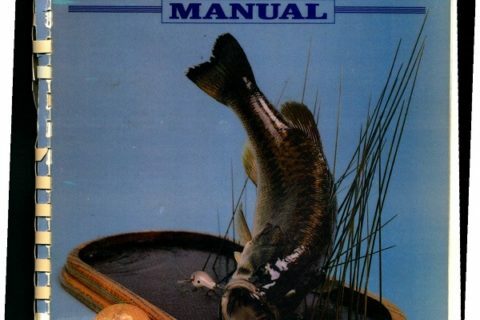 Why does it kind of look like Bob Newhart on the cover?